TerniEnergia – Page 2 – . : Italeaf Group – Innovation To Make The Change :. EBITDA equal to Euro 1.4 million (Euro 0.04 million as at 30/09/2017)* with Ebitda Margin at 8.72%. The Board of Directors of TerniEnergia, a smart company listed on the Italian Stock Exchange (MTA) and part of the Italeaf Group, approved today the Interim Financial Report as at September 30, 2018. (*) The income statement figures for the third quarter of 2017 have been restated in accordance with IFRS 5, taking into account the classification of the results of discontinued operations – in accordance with the Recovery and relaunch plan approved by the Board of Directors on 25 October 2018 – as “held for sale” or discontinued operations, in order to provide consistent information on discontinued operations or those in the process of being disposed. It should be noted that the aforementioned Plan provides for the disposal of the photovoltaic and Clean Tech activities currently held by the Group. In particular, the sale of a controlling stakes in the EPC and O&M business units (aimed at the construction and maintenance of photovoltaic plants, with the exclusion of the companies operating in South Africa) and the sale of photovoltaic power generation plants (held directly and indirectly through SPV), the sale of ELT treatment and recovery plants (end-of-life tyres), liquid waste purification plants at Nera Montoro, the biodigester at Nera Montoro, the one under construction at Calimera and the virgin wood pyrogasification plant at Borgosesia, the sale of financial assets relating to energy efficiency. Further informations are provided in the Notes. Revenues amounted to Euro 15.7 million (Euro 19.6 million as at 30/9/2017; -20.1%). EBITDA reached Euro 1.4 million, a significant improvement compared to September 30, 2017 (Euro 0.04 million), with Ebitda Margin equal to 8.72%. The main contributions to the operating results for the quarter were the business of Softeco Sismat and the O&M activities carried out in South Africa. The Net Operating Result (EBIT) is equal to Euro -1.75 million, with a loss in decrease of 54.7% (Euro -3.9 million as at 30 September 2017), after amortisation, depreciation, provisions and write-downs of approximately Euro 3.1 million. Profit before taxes (EBT) also improved of 31.5% to Euro -4.9 million (Euro -7.2 million at 30/9/2017). The Net result is equal to Euro -4 million, compared to Euro -8.1 million as at 30 September 2017 (+50.4%). The Net Financial Position amounted to Euro 59.85 million (a significant reduction compared to Euro 89.8 million at 31/12/2017) due to the application of IFRS 5, which led to the reclassification of net financial indebtedness for approximately Euro 34 million. Shareholders’ Equity is equal to Euro 18.7 million (Euro 21 million at 31/12/2017), and also takes into account treasury shares held in portfolio, which amount to No. 1,012,998 (2.15% of the share capital). 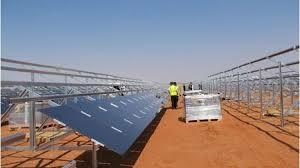 It should be noted that the engineering, procurement and construction of photovoltaic plants (EPC), the Group’s core business until the decision to start the transition to the new configuration of smart companies, the O&M (maintenance) of photovoltaic plants and the renewable energy power generation, the development and management of environmental plants (Cleantech) and the financial assets relating to energy efficiency projects already carried out were classified as “held for sale disposal” or discontinued operations, in accordance with the international accounting standard IFRS 5 for a total amount of Euro 138.7 million, together with corresponding liabilities of Euro 76.5 million, with a decrease compared to the corresponding figure as at 30 June 2018, equal respectively to Euro 169.3 million and Euro 106.2 million as a result of the sale to Sonnedix San Giorgio of n. 10 photovoltaic plants in Italy with a total installed capacity of 11 MW, prevoius fully owned by the TerniEnergia Group. The net result for the period relating to this item was a loss of Euro 40 thousand, due to personnel costs and attributable to the EPC business unit being sold, as provided for in the Recovery and Relaunch Plan. In particular, the EPC business unit remained substantially inactive during the period, with the exclusion of the activities relating to the contract in Tunisia, due to the strategic transformation of the company and pending the conclusion of the disposal processes. The planned disposals are operations aimed at supporting the industrial turnaround project, as provided for in the Recovery and Relaunch Plan approved by the Board of Directors on 25 October 2018. 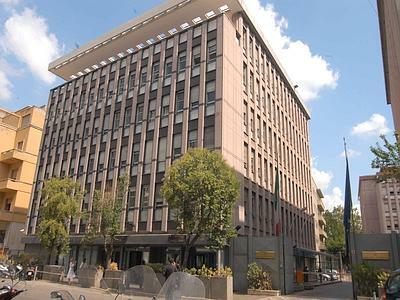 On October 1, 2018, TerniEnergia, announced that it had signed at the Ministry of Labour and Social Policy, in the presence of representatives of the Ministry of Economic Development and Arpal Umbria, the agreement with trade unions and institutions for the continuation of the management of social security, activated during 2017 following the withdrawal of the procedure of collective dismissal. In fact, the company has requested recourse to active labour policies aimed at implementing the Group’s employment recovery plan for a period of one year and for 50 employees, using rotation criteria. On 25 October 2018, TerniEnergia approved the main contents of a Recovery and relaunch plan, aimed at restoring the financial and equity balance of the Company in the long term, the reasonableness of which must be certified by a professional pursuant to Article 67, paragraph 3, letter d) r.d. 267/42 for the period 2018-2022. Planned measures for the disposal of assets, the merger by incorporation of Softeco into TerniEnergia by 2019 to complete the process of industrial turnaround, a financial package for debt rescheduling, the continuation of negotiations with the main creditors. The meeting of the bondholders of the “TerniEnergia Euro 25,000,000.00 Notes due 2019” bond loan has been called to approve participation in the recovery and relaunch plan. On 31 October 2018, TerniEnergia, announced that it had received from Ecopneus news of exclusion from tenders with electronic negotiation for the shredding of ELTs for the period 2019-2021. TerniEnergia will take every initiative in court to protect itself, will take legal action to restore its rights and for any compensation for damages suffered and to be suffered and, even before, will turn to the European Commissioner for Competition and the Authority for Competition and the Market. a financial package which, in addition to providing for debt restructuring and rescheduling, is based, alternatively: (a) on a principle of “pari passu” distribution, between financial institutions and bondholders, of the proceeds deriving from the disposal of the above assets without recourse to the hypothesis of cancellation of the credit (“Pari-Passu Maneuver”); or (b) on a different principle of distribution between financial institutions and bondholders of the proceeds deriving from the disposals, with payments in full and in part and waivers of the credit by the banking class, without intervening on the amounts of the credits claimed by bondholders (the “Balance and Withdrawal Maneuver”). For details of the Plan, approved by the company’s Board of Directors on 25 October 2018, reference should be made to the press release issued on the same date. TerniEnergia is assisted by KPMG Advisory SpA as financial advisor in drawing up the above mentioned Plan. The Company will provide timely information on the development of the Recovery and relaunch plan that has been launched. Please refer to the press release issued on 31 October 2018. The main changes in transactions with related parties of this company and its Group compared to the last annual or half-yearly financial report approved pursuant to Article 154-ter of the Consolidated Law on Finance. There have been no significant changes in transactions with related parties of the Company and the Group since the last approved half-yearly report. Any failure to comply with the covenants, negative pledges or any other clause of the Group’s indebtedness that entails limits to the use of financial resources, with an indication at the updated date of the degree of compliance with said clauses. Net Financial Position/EBITDA: equal to or less than 5. The bond regulations also provide for other non-financial covenants, specifically the “Cross default of the Issuer”, i.e. 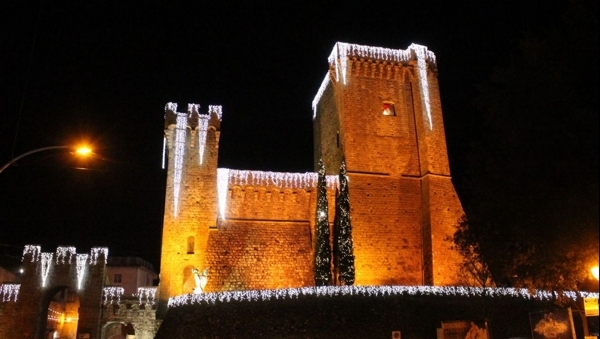 the non-payment by the Company of any bond for an amount exceeding Euro 3 million. Failure to comply with the abovementioned covenants represents an event of default, with the result that the absolute majority of bondholders may have the right to early repayment of the bond issue, which matures naturally in February 2019. NFP/BITDA: less than or equal to 6.5. Lastly, for some medium term leases and loans, the bank or leasing company has the right to request early termination of the contract, since the Company has not paid any instalments during the last quarter of 2017 and during 2018. It should be noted that none of the banks or leasing institutes has so far activated the right to terminate the contract early and request the early repayment of the loan. These loans and leasing were reclassified to the current NFP as at 31 December 2017 and as at 30 September 2018. The Board of Directors of TerniEnergia has noted the appointment of Massimo Mannori as General Manager of Softeco, a digital company of the Group, 100% controlled by the company. For further information, please refer to the press release issued today by the Company. The Officer responsible for the preparation of the corporate accounting documents, Mr Filippo Calisti, declares, pursuant to paragraph 2, art. 154-bis of the Consolidated Financial Act, that the accounting information that is contained in this press release correspond to the documentary results, the accounting books and records. We inform you that the Interim Financial Report as at September 30, 2018 of the TerniEnergia Group, approved by the Board of Directors of TerniEnergia S.p.A. today, will be made available to the public, together with the report of the independent auditors, in the manner and terms provided by current legislation. 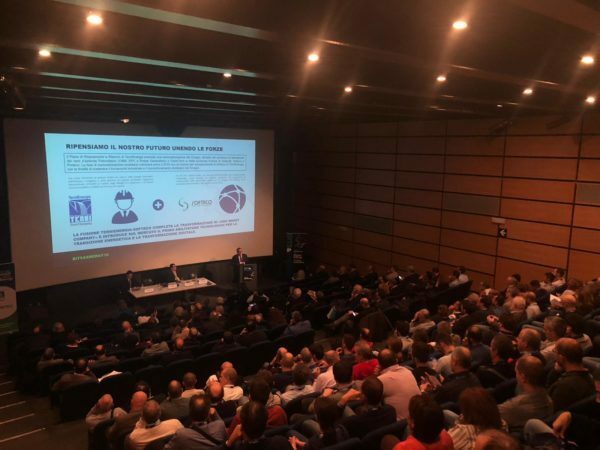 TerniEnergia, smart company listed on MTA of Borsa Italiana and part of the Italeaf Group, and Softeco Sismat Srl, the Group’s digital company, announces that eng. Massimo Mannori has been appointed General Manager of Softeco. “I am excited that Massimo Mannori will join the team, bringing in our Group his managerial skills and the competences he has acquired during his long experience in the hi-tech sector. In this way, the team will be strengthened and will be able to work on the implementation of strategic projects to relaunch the Group in market segments with greater added value. I am sure that the support of Mr. Mannori, thanks to a unified vision of the industrial turnaround opportunities of our Group, will result in a significant boost for the development of innovative digital services and solutions“. The appointment of eng. Mannori, a manager with more than 20 years of international experience, aims to strengthen the management team and improve strategic processes, also in view of a path of further development that the Group intends to impress on Softeco before the merger by incorporation provided for in the Recovery and Relaunch Plan for 2019. In addition to strengthening the team and management aspects, Massimo Mannori will be involved in the industrial turnaround process that the TerniEnergia Group is implementing. In particular, the new General Manager will work on the diversification of Softeco’s activities into business segments focused on the development of proprietary technologies and solutions for high tech and digital energy sectors. 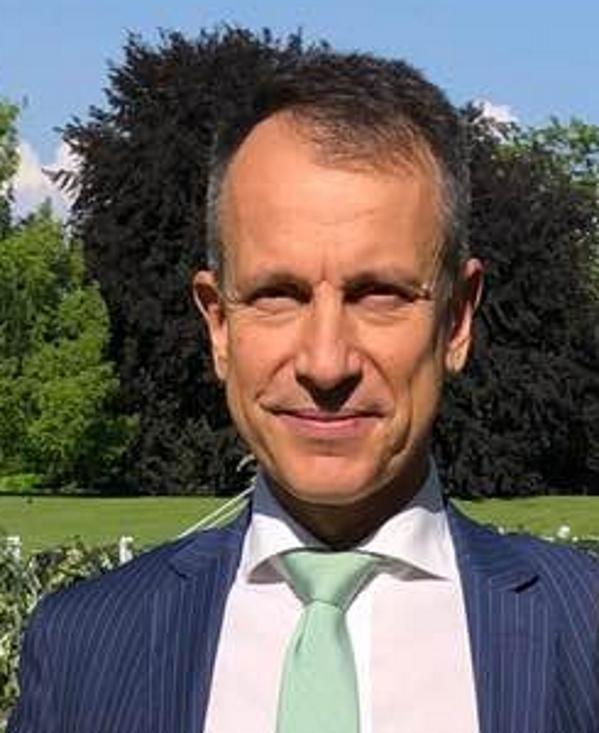 Massimo Mannori, graduate in Electronic Engineering at the University of Genoa, holds an MBA at Bocconi University in Milan and has 20 years of international experience in leading industrial and consulting companies. Mannori has been Vice President of Post Merge Integration at Westport Fuel Systems, Vice President of Performance Excellence at Ansaldo STS, General Manager at Intecs. Massimo Mannori has served as Project Leader at The Boston Consulting Group. 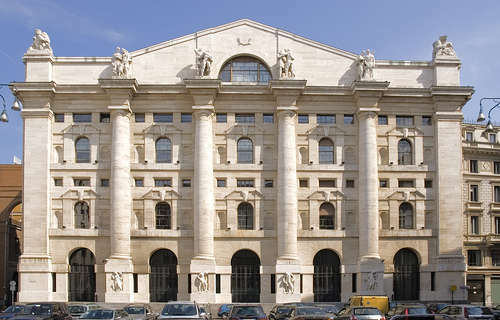 TerniEnergia, a company listed on the MTA of the Italian Stock Exchange and part of the Italeaf Group, following what was announced on 17 September 2018 – in relation to the preliminary binding agreement for the acquisition by GIL Capital Ltd of a new company called “TerniEnergia Progetti”, which includes the perimeter of the EPC business unit (engineering, procurement, construction and commissioning) of photovoltaic plants of TerniEnergia – announces that it has agreed with the counterparty to set 30 November 2018 as the deadline for the closing-date of the transaction. The extension was agreed exclusively to allow the newco “TerniEnergia Progetti” to complete the formalities for the obtainment of the certifications relating to the operational activities of the company. The agreement between TerniEnergia and GIL Capital also provides for the participation of TerniEnergia Progetti, in the transition period prior to the closing of the transaction and the transfer of ownership of the shares of TerniEnergia Progetti to GIL Capital, to the international tender for the design and installation of a photovoltaic plant with a total capacity of 10 MW in Tunisia. TerniEnergia, smart company listed on MTA of Borsa Italiana and part of the Italeaf Group, and Renewable European Investment Italy 3 – REI III Srl, a company belonging to the Radiant Clean Energy Fund, signed today a deed of sale for the purchase and sale of companies owning photovoltaic plants in operation, held as joint ventures by the two companies. The value of the assets was determined on the basis of an expert’s report entrusted to an independent expert. TerniEnergia, smart company listed on MTA of Borsa Italiana and part of the Italeaf Group, and GIL Capital Ltd, following what was communicated on May 25, 2018 and June 27, 2018, have signed today a preliminary agreement of binding nature for the acquisition by GIL Capital of a Newco called “TerniEnergia Progetti” which will include the branch of the PV EPC business (engineering, procurement, construction and commissioning) of TerniEnergia. The total consideration for the acquisition of 100% of the share capital of the Newco “TerniEnergia Progetti” by GIL Capital is equal to Euro 0.5 million. The payment will be made on the closing date of the transaction, which the Parties have undertaken to achieve during the first ten working days of the first month after the month during which the technical-contractual conditions to closing, which are typical of this type of operation, are achieved along with the approval of the transaction by the Trade Unions. 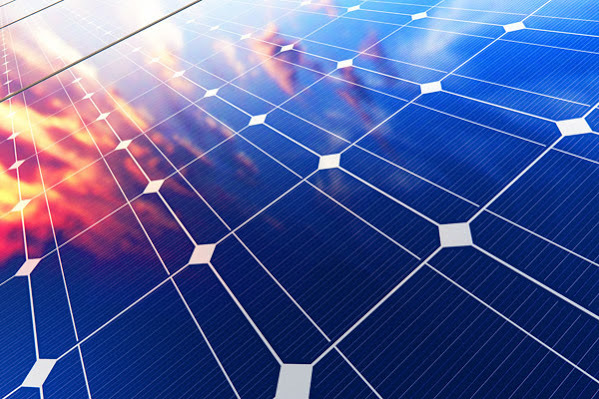 The agreement will ensure the continuity of the photovoltaic EPC business under a brand that is strongly established in the industry. The branch of the PV EPC business will continue operating from the existing office located in the industrial area of Nera Montoro (TR) guaranteeing the employment of 7 highly qualified technical employees of TerniEnergia. 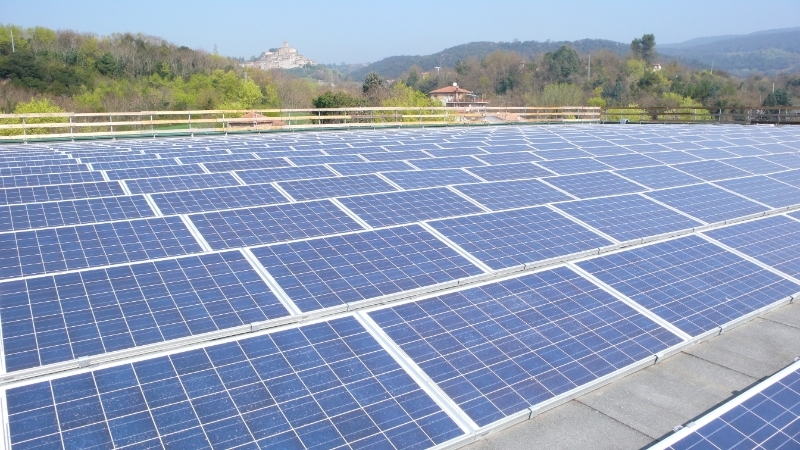 In fact, the Newco will absorb assets represented by highly professional employees, intellectual property rights and quality certifications, engineering and design capabilties, equipment and software relating to the activities carried out in the photovoltaic sector in Italy and abroad, with the exception of the construction contract of a photovoltaic plant in Tunisia. It should be noted that the agreement concerns a reduced scope of business compared to what was envisaged in the letter of intent communicated on 25 May 2018, which was terminated by GIL Capital on 27 June 2018 in consideration of the fact that some of the conditions precedents envisaged have not been met. The GIL Capital group was established in 2012 by the management buy-out of the British Greenray Holding group, which has been operating in the industrial maintenance sector for conventional thermoelectric plants since 1981. GIL Capital is owned and managed by Dr. Leonardo Montesi who has more than 30 years of professional experience in the plant engineering sector and 25 years as board member of large international companies in the sector. TerniEnergia, smart company listed on MTA of Borsa Italiana and part of the Italeaf Group, and Sonnedix San Giorgio, S.r.l, a company wholly owned by institutional investors advised by J.P. Morgan Asset Management, following what was announced on March 16, 2018, has signed today the contract for the acquisition (closing) by Sonnedix San Giorgio of the SPV Sonnergia Srl, which includes the perimeter of the plants subject to the transaction. In particular, the transaction involves 10 photovoltaic plants in Italy with a total installed capacity of 11 MW, owned by the TerniEnergia Group. The total consideration for the acquisition of 100% of the share capital of the SPV by Sonnedix San Giorgio is equal to approximately Euro 5.7 million. The payment, equal to approximately Euro 4.9 million, made at the time of the closing, was reduced by Euro 0.8 million, taking into account a mechanism for adjusting the price on the basis of the evolution of the Net Working Capital between 31 December 2016 and today. This figure may be subject to further adjustments, in relation to the checks that the parties have undertaken to complete in the next six months. The transaction also involves the assumption by the Purchasers of financial debts related to the plants for approximately Euro 25.6 million. The Enterprise Value of the assets sold amounts to approximately Euro 31.3 million. TerniEnergia and the Buyers were assisted by Orrick as legal advisors.